If you’re looking for a comfort dish, especially when it’s cold outside, then check out my Paleo Shepherd’s Pie that is gluten, grain, dairy and egg free. I love cooking & baking and it forces me to attempt so many dishes. One of those dishes was something that I always turned my nose up at when I was a kid, Shepherd’s Pie. I was a picky eater and I still am. I’m one of those people who forbid my food touching other food on a plate. For example, at Thanksgiving my cranberry sauce cannot touch the turkey, instead the turkey must be dipped into the cranberry sauce. I would love a set of dishes with those t.v. dinner grooves in them that prevent each food group from touching. 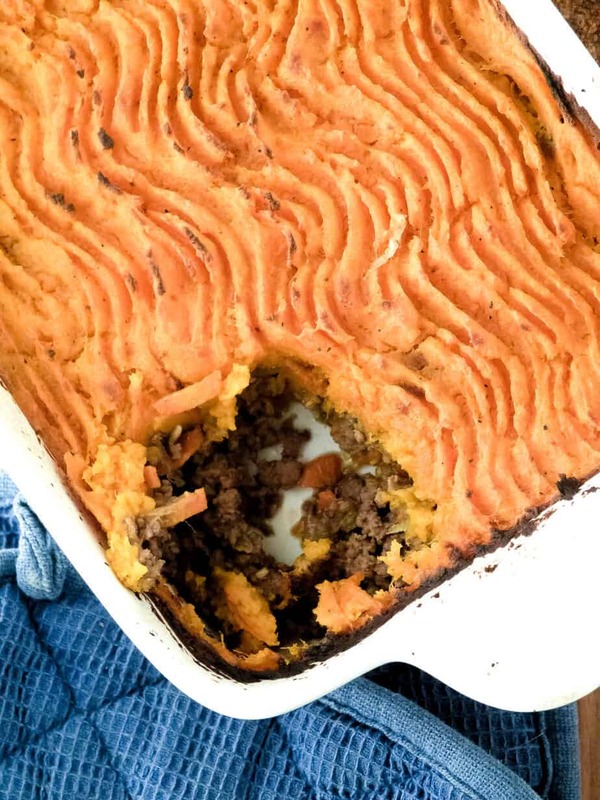 Eating paleo shepherd’s pie is a huge leap for me. So many textures intermingle it’s overwhelming. You have the potato top touching the meat and the vegetables mixed in with the meat. It’s gross. I decided to be brave and make a paleofied, seventh shade of paleo shepherd’s pie with a secret ingredient. Regularly shepherd’s pie would contain Worcestershire sauce. Worcestershire sauce isn’t gluten free. Worcestershire sauce provides that depth of flavour that is needed so I replaced it with barbecue sauce. *Note – most barbecue sauces contain Worcestershire sauce so you need to pick one with as many “clean” ingredients as you can find and devoid of the gluten filled sauce. Place the sweet potato in a pot of salted water. Turn to a boil and cook until tender. *You can easily put a fork through the sweet potato. On medium heat, in a frying pan, sauté carrots, onions and celery. Cook until the onions are translucent. Add the ground beef, garlic and sprinkle generous amounts of salt and pepper. Cook until the beef is cooked. Add the broth and barbecue sauce. Cook on low for 10 minutes. Place everything in a 6 x 8 oven proof dish. Drop spoonfuls of the sweet potato over the beef mixture. Then spread it all over. *I used a fork to create an artistic swirl in the topping. Bake for 30 minutes. Broil on high for 5 minutes. Yes! At first they were not… then people in the Paleo community started to question why coconut flour pancakes are “Paleo” but a potato isn’t? Even Whole30 made an announcement that it was okay to eat a potato! 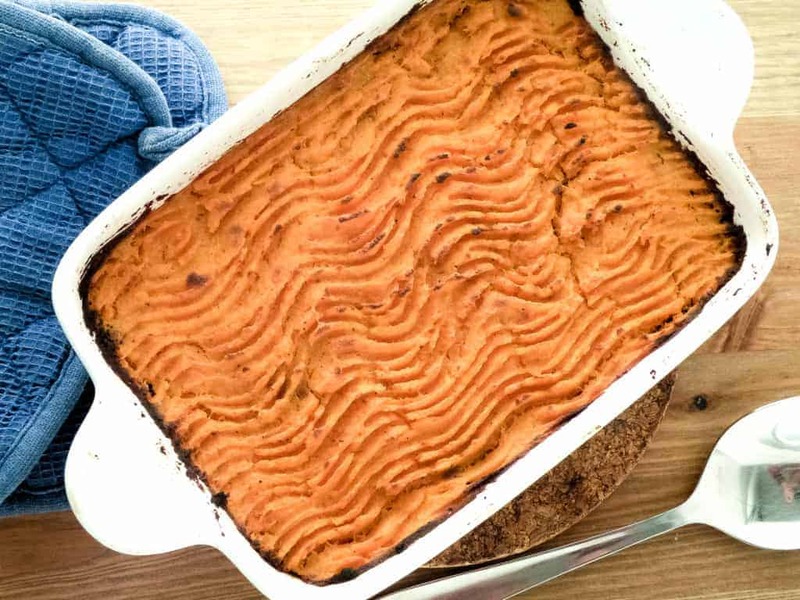 If you prefer your Paleo Shepherd’s Pie to have a white potato topping go right ahead 🙂 I suggest you use russet potatoes and after boiling them until soft use a potato masher NOT a hand blender to mash them. Potatoes can get gluey if they are over mixed. Sure! 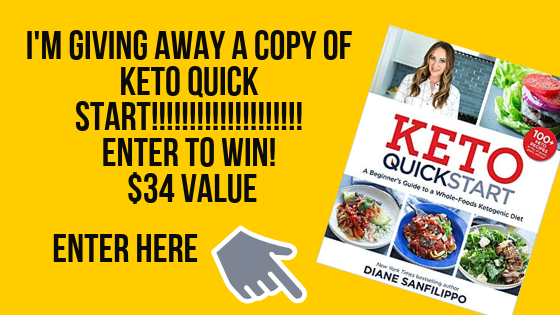 You can freeze it uncooked or cooked. Remember to cook it longer if you are cooking it from frozen. If you're looking for a comfort dish, especially when it's cold outside, then check out my Paleo Shepherd's Pie that is gluten, grain, dairy and egg free. Place everything in a 6 x8 oven proof dish. That looks great – such a good comfort food too! Lea & Perrins Worcestershire sauce is gluten free thankfully. I tried this recipe last night! What a hit! My boyfriend said it was the best Shepherd’s pie he every had. Thank you!!!!! It never would have occurred to me in a million years to make Shepherd’s Pie with mashed sweet potatoes. I can’t wait to try it! Janet Fazio recently posted..Norwex is having a Warehouse Sale! Made this tonight. Absolutely delicious. Even had seconds! Recently made this recipe and we loved it! If you were to make this individual ramekins would you bake at the same time and temp? So yummy! Any idea what the nutrition info is?? Verdict: NEW FAVORITE!! I doubled it, and added 1 tsp. each dried thyme and rosemary, with a dash of mace. I didn’t have any AIP-safe BBQ sauce, so I quickly whipped up this recipe with an applesauce base (http://kaikulifestyle.blogspot.com/2014/04/barbeque-sauce.html) which I have to recommend, because it is outstanding! Thanks so much for posting this recipe, Carol! I’ve probably made this a dozen times now, and those herbs really seem to complete it — even without BBQ sauce or a sub! I’m off to make it again right now! This was fantastic! 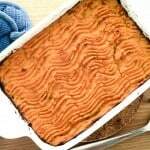 I doubled the recipe and added some non-dairy milk, butter, salt, and pepper to the sweet potato topping. My hubby said it was the best shepherd’s pie he’s ever had!!!! I shared on facebook 🙂 Thanks so much for the recipe! Instead of sweet potato for the topping I usually use butternut squash. Sometimes the aweet potato is too sweet for the dish and when I have company, the butternut squash is a hit! !